Upon booking an appointment you will receive a Paypal/Square invoice for payment. Once the payment is received your appointment will be confirmed. please note: toenail debridement will only be done on healthy intact toenails. Toenails that are loose from the nail bed or with visable signs of infection will and should be referred to your podiatrist. ​When booking a mobile service we do adhere to particular policies that we must abide by. Due to the nature of the business and services that we provide, all mobile services require a 48-hour lead time for booking an appointment. Should you need to cancel your service, we do require a 24-48 hour advance notice. Should you cancel your appointment the same day that your service is scheduled to be performed, you will be assessed a $25.00 fee invoiced through pay-pal or square before you can make another appointment. We have to charge this because we operate totally by mobile means and your appointment could have been reserved for another client. To cancel an appointment in, please call: (919) 621-7027. 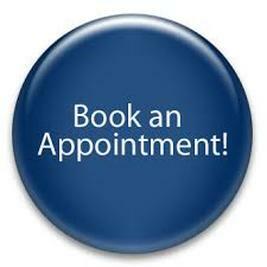 Deposits are non-refundable as they are used to secure our travel time, should the customer cancel an appointment. *Should we experience inclement weather, all services will be cancelled and rescheduled. Forms of payment accepted are: Checks, Credit Cards and Cash. First time clients must pay for services in advance, preferably via Paypal or Square. A brief health assessment will be sent over prior to the appointment that we must have filled out. We use the information for internal review and this information will not be shared with anyone besides the mobile provider who will be servicing the client.